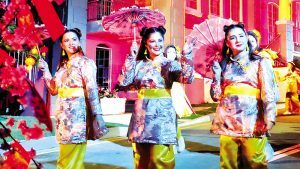 THE VILLAGES at the Prayer Mountain in Davao City turns into a Chinese New Year and Spring Festival-themed wonderland from February 1 to 28, 2019. 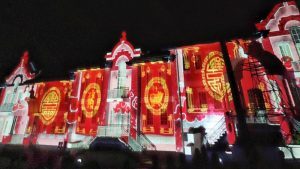 After the success of The Christmas Village, probably the city’s most visited Christmas destination (getting as many as 4,900 visitors a night last December 2018), The Villages at Prayer Mountain now pays tribute to the city’s Chinese community as it reopened its doors to the public starting February 1, to celebrate the Chinese New Year or Chinese Spring Festival. 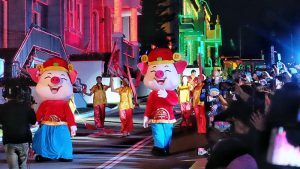 The Chinese New Year celebration at The Villages features nightly Lion Dance performance, a Chinese New Year Parade with new characters based on Chinese culture, a new 3D Mapping Show, lighted lanterns and landmarks, food park, snow attraction, among many others. 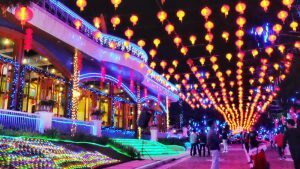 Located in Tamayong, Calinan, The Villages is open from 8:00 AM to 9:00 PM daily until February 19.